Every once and again we hold a Guaranteed Content poll so that you, the listeners, can pick a subject for us. This time you chose well, nay, you chose great and this is that episode! 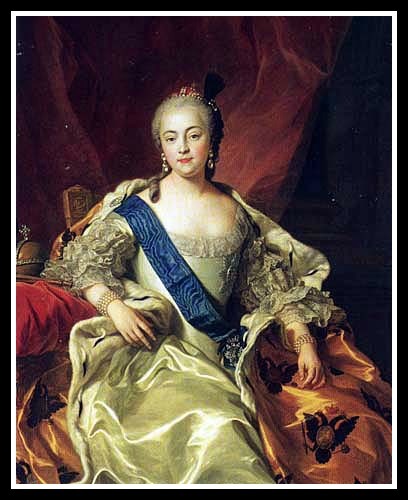 Actually, it’s TWO episodes devoted to the life, loves, power and accomplishments of Catherine the Great. 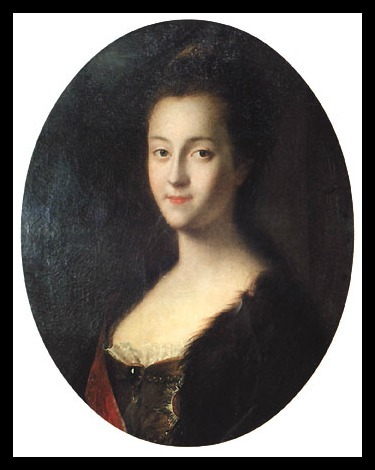 Catherine the Great didn’t start out life very great and she didn’t start out as a Catherine either. 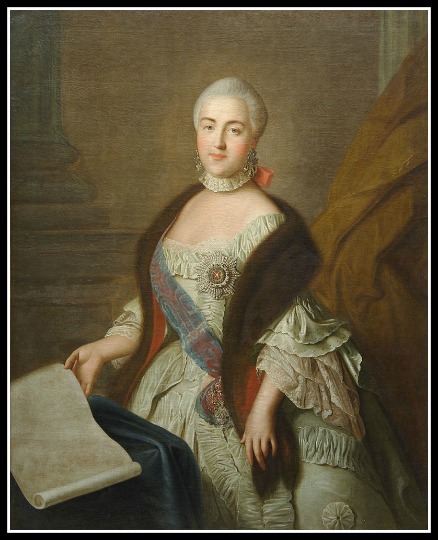 *deep breath* Sophia Auguste Frederike von Anhalt- Zerbst was born on April 21, 1792 (or May 2nd if you’re using a a Gregorian calendar) in Stettin, Prussia (now Szczecin, Poland). 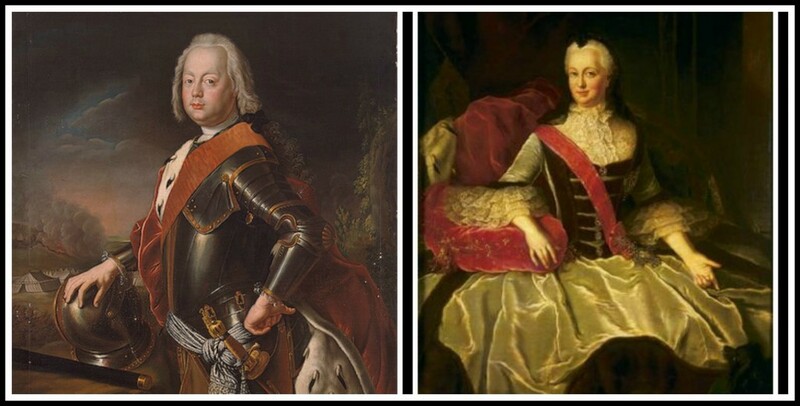 She was the first child of Christian August who was a frugal, minor prince of a minor principality, and Joanna Elizabeth of Holstein- Gottorp, an entitled princess who felt she had been married off poorly. Little Sophia was a huge disappointment to Mama Joanna. First Mama gets saddled with a husband 22 years her senior who didn’t have nearly the income to maintain the lifestyle she “required”, she is forced to live in a sparse military outpost, then her first born wasn’t a boy. Sophia was quickly handed off to a wet nurse and a French governess. We go into far more detail in the podcast about her childhood, the key figures in her life and how her smarts began to show pretty early on but to sum it up: Unless Mama needed her as an excuse to get outta Dodge, or to remind Sophia that she wasn’t very pretty, Sophie was ignored by her in favor of her little brother. Sadly Joanna’s prize son was born sickly and died at 12. I think Mama has a far different definition of ugly than we do. In the rear view mirror this was probably the best thing that could happen to Sophia. She developed skills and strengths that Mama didn’t posses. Her mind was challenged by her governess, Babet; she became a cheerful, energetic and charming leader among the town kids. What Sophia learned from her mother was how to hide her true feelings, ideas and plans behind whatever mask was needed for the situation, and she learned how to navigate court life when Mama hauled her around to visit the wealthier side of the family. The one maternal thing Mama Joanna did do was to realize that she had to make a good match for her daughter. Okay, she probably wasn’t that altruistic and her motives for a good marriage were not necessarily to help Sophia but to try and get back to the life she expected for her own selfish self. The two went on a Tour de Men tossing aside some prime (read: not prime) choices until a letter came. From Russia. 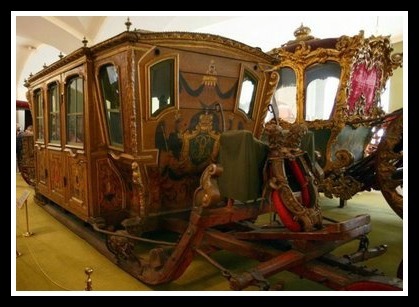 From Empress Elizabeth who was asking for a Meet and Greet with her nephew, Peter, who was to one day be the Czar of Russia. Sophie said good-bye to her father, her home, her Babet and set off to Russia. 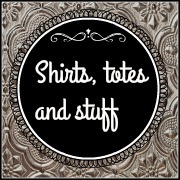 Of course it wasn’t nearly as simple as that, but the podcast will color it in for you. 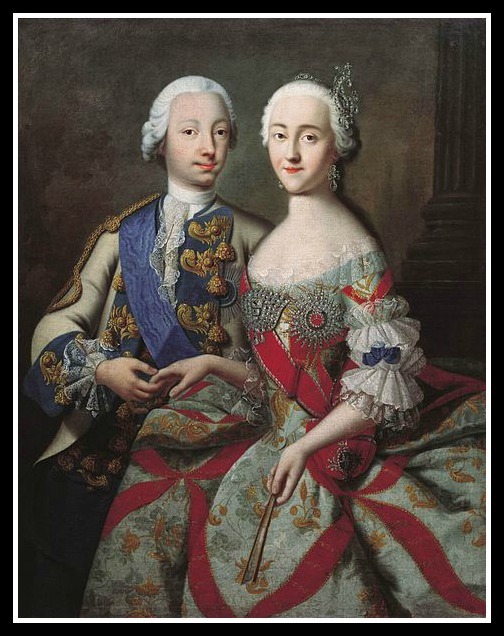 There were a few hurdles, a couple major illnesses and a lot more telenovela-esque drama but on August 21, 1745, 17 year-old Peter and 16 year-old Catherine, both encrusted with lavish bling, were wed and she became a Grand Duchess…out ranking her meddling mother. The two had babies and lived happily ever after. Hahahahano. First problem: they didn’t consummate the marriage for eight years. Catherine’s ONE JOB was to produce a male heir and Peter was making it very difficult. Meanwhile Elizabeth was making her life miserable with the pressure to do that ONE THING. There were several schemes to get the two…uh…busy but Peter was partying and playing with toy soldiers (in bed, the guy loved his toy soldiers) and Catherine was reading, riding horses (astride, like a man!) and learning Russian (although the language at court was French). She was charming, engaging and attracting the attention of many a man but all she did with them was perfect her flirting technique. Even locking Peter and Catherine in a room at night didn’t do the job. Essentially and eventually, Elizabeth turned her head and let charming, handsome Serge Saltykov take care of business with an infatuated Catherine. Soon she was pregnant but had a couple of miscarriages. 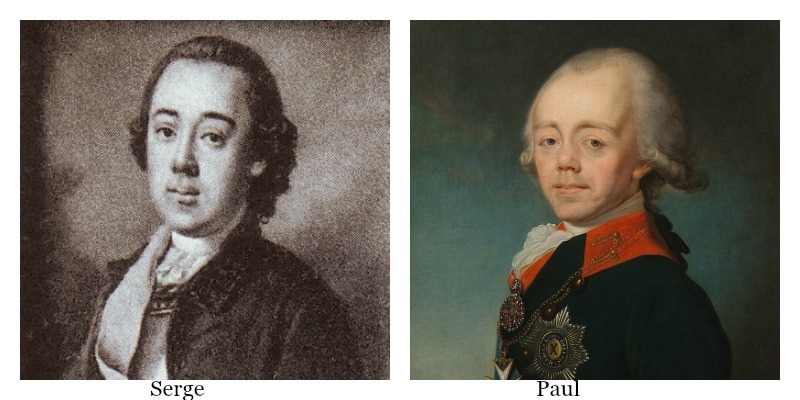 Finally she finally gave birth to the heir, Paul in 1754. At that point Serge exited stage right. While Peter MAY have been the biological father, Grand Duchesses don’t procreate and tell so we can only speculate. As can you. What we do know for sure is that the MOMENT Paul was born, Elizabeth scooped him up and took him away to raise him. Peter had a dandy excuse to party and Catherine was left alone, unloved, unsure of her future but with one major goal: get the crown for herself. How does she do it? Come back for Part Two and we’ll tell you.